It is time, once again, to register for our discipleship classes. We have four wonderful studies to choose from. Please, fill out the form below and choose which study you would like to take and submit it to be registered. ·Singleness, dating, marriage, and divorce. 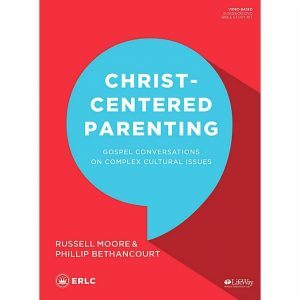 Give your kids a biblical worldview that will produce the next generation of culture shapers-not simply the next generation shaped by the culture. 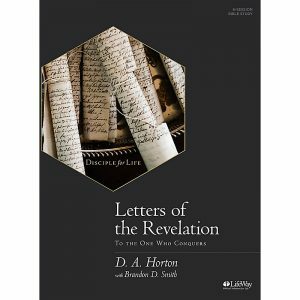 John’s Revelation is perhaps the most studied and discussed book in the Bible. It begins with seven letters to seven different churches of the day. Group members will the discover the cultural implications for those times and the ways John’s prophetic vision applies today. You will develop a better context for end-times theology and gain a greater understanding of the task that faces the church right now. We will see that modern churches have the same shortcomings like the churches of Asia. Yet there is time to awake from spiritual lethargy and deadness and embrace the mission God has for His church today. The Bible is clear on a number of issues: Who is God – Who we are – Who Christ is and what He has done – What is means to follow Christ – Why this matters for eternity. So how do these truths affect how we respond to the social issues our day – realities such as poverty, slavery, abortion, sexual immorality, the degradation of marriage, the neglect of orphans and widows, racism, and persecution. 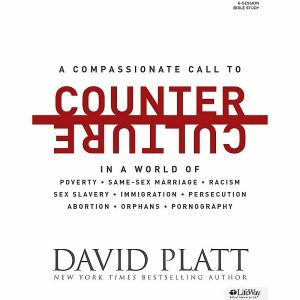 David Platt believes the truths of the gospel should compel us to contrite, compassionate and courageous personal response to social issues in the culture. This study is a pointed yet winsome call for readers to faithfully follow Jesus Christ in countercultural ways. There will be a cost. There will be a reward. Do Christians in the contemporary church have the courage to counter the culture? 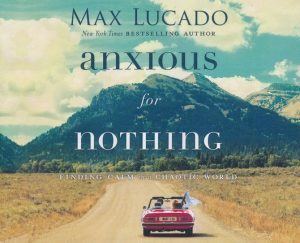 In this five-session video Bible study, Max Lucado explores God’s promise in Philippians 4:4-8 and shows that while anxiety is part of life, it doesn’t have to dominate life. As you follow God’s prescription for worry – celebrate his goodness, ask for help, leave your concerns with him, meditate on good things – you will experience his peace. You can stop letting anxiety rule your day and find true calm and contentment in Christ.